We will work with you to help make your business more profitable from year to year. 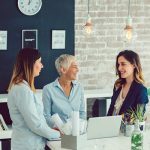 Many business owners find themselves in the position of trying to determine how they will manage daily operations and keep up with their bookkeeping and records filing. If you are finding that there aren’t enough hours in the day to successfully manage your business accounts on your own, turn to us at Gecinger Tax & Accounting for the solutions you need. Balance Sheets – Summarizing your total business assets, liabilities, and net worth at a given point in time, we’ll provide balance sheets that give you clarity about the path to a more profitable business. Bank Reconciliation – Working with the correct totals when you need to compare your checkbook with your bank statements is critical. As your accountant, we’ll ensure that you are able to carefully compare your numbers. General Ledger Report – Our general ledger reports provide a record of the dates, payees, check numbers, and amounts of all expenses within each of your business accounts. This document will ensure that your reports have been properly prepared. Monthly Operating Statements – Having accurate profit and loss statements are essential for financial tracking. We can provide a monthly breakdown of sales, cost of sales, and expenses. Monthly Reporting – Our simplified monthly reports and statements provide a quick and accurate picture of your business activity. Easily track and adjust as your monthly income and expenditures change. If you need an accountant that works with you to achieve your business’ goals, contact us at Gecinger Tax & Accounting today to discuss your needs. We look forward to working with you. At Gecinger Tax & Accounting, we offer accounting services to individuals and businesses in High Point, Greensboro, Winston-Salem, Burlington, Asheboro, Kernersville, Lexington, Thomasville, and Clemmons, North Carolina.